Home World Affairs Mexican President signs declaration promising not to seek re-election in 2024. Mexican President signs declaration promising not to seek re-election in 2024. 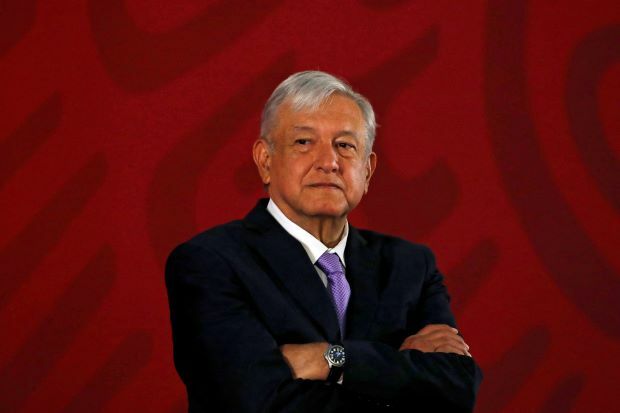 Mexican President Andres Manuel Lopez Obrador on Tuesday signed a declaration, pledging not to seek another term in office in the 2024 election after the country’s parliament passed measure to cut short presidential terms. Last week, Mexico’s lower house passed a constitutional amendment that would allow for a referendum to cut short the six-year presidential term. It was criticised by the opposition which said the move opened the door to Lopez Obrador’s re-election. “My political opponents, the conservatives, think that I am like them, because their real doctrine is a hypocrisy. They claim that the proposed mandate withdrawal conceals the intention to be re-elected in 2024,” Lopez Obrador said while signing the declaration during his press conference. Next articleTrump supports Brazil’s efforts to join OECD.